Theme 5 objectives embody the SAA commitment to becoming an evidence-based organization that better understands and documents the impacts of its investments. 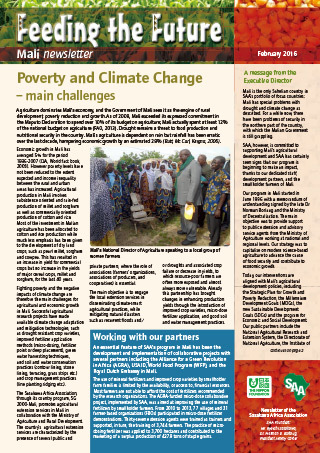 As organizational strategy development and program planning are intrinsically linked to monitoring, evaluation and reporting, SAA Theme 5 (MELS unit) is in charge of coordinating strategy development processes, program planning, monitoring, evaluation and reporting at country and regional levels. In view of this critical role, Theme 5 has been established to build a relevant, efficient and effective monitoring, evaluation, learning and sharing, and reporting systems with an accompanied Management Information System (MIS) to document impacts and the effectiveness of all investments—both core and extra-core donor funded. 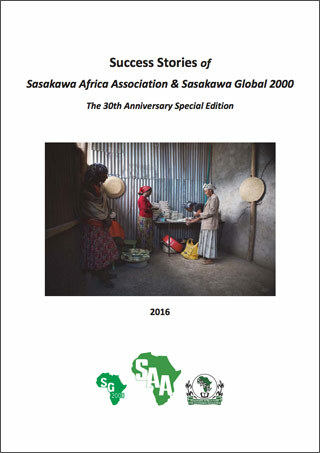 To achieve these, Theme 5 works with and through the other SAA themes and the SG2000 country programs to implement the SAA MELS system(s). 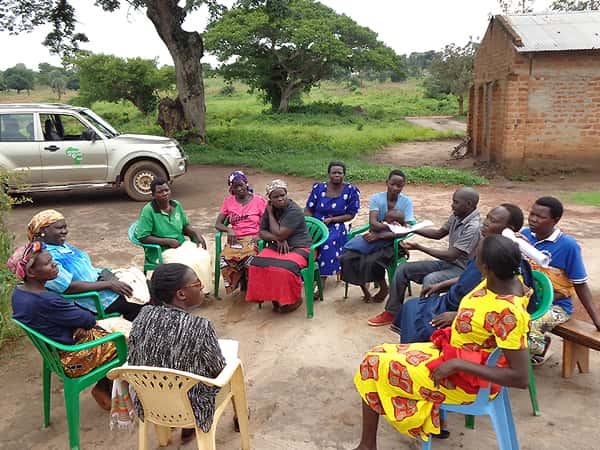 The Monitoring, Evaluation, Learning and Sharing (MELS) Theme began in 2011 with an overall objective to establish a relevant, efficient and effective monitoring, evaluation, learning and sharing system to drive SAA’s evidence-based programs. 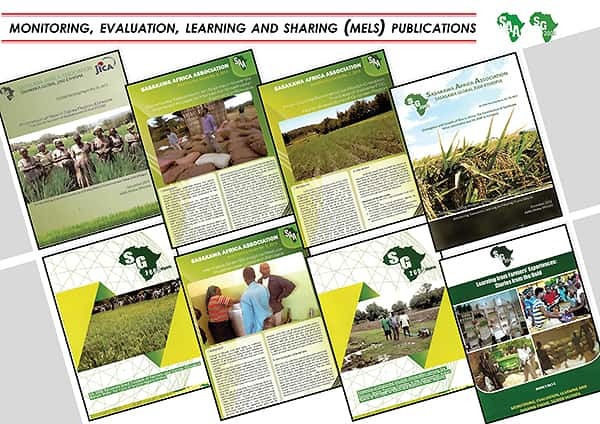 During the last strategic period (2012-2016) MELS Theme have made great strides towards achieving its strategic goal to establish information and knowledge management systems that enable adaptation, modification and change of technologies and approaches, improve efficiency and impacts, and communicate lessons and best practices for timely evidence-based decision-making. The activities which have been implemented by the MELS Theme since 2011 include institutionalization of MELS in SAA i.e. assuring ownership and use of results and findings from MELS. Enhancing staff capacity in data collection, analysis and report wiring. 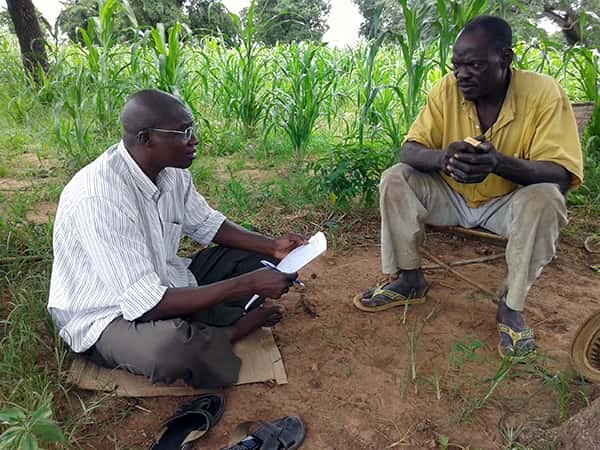 Undertaking needs assessments to prioritize needs of farmers for target interventions. Conducting baseline surveys to establish benchmarks for impact assessments and evaluations. The others are output and outcome monitoring to have information for real-time decision making and evaluating interventions and activities to ensure relevance, efficiency and effectiveness. 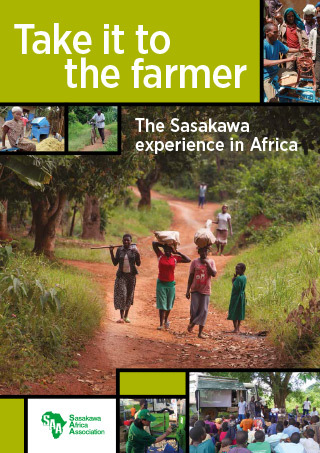 In addition, impact assessments have been conducted to learn how and by how much our interventions impact on farmers. MELS has successfully lead and coordinated the external evaluation of SAA strategy (2012-16) and the development of the current strategy (2017-2021).